July has been a big birthday month in our house. 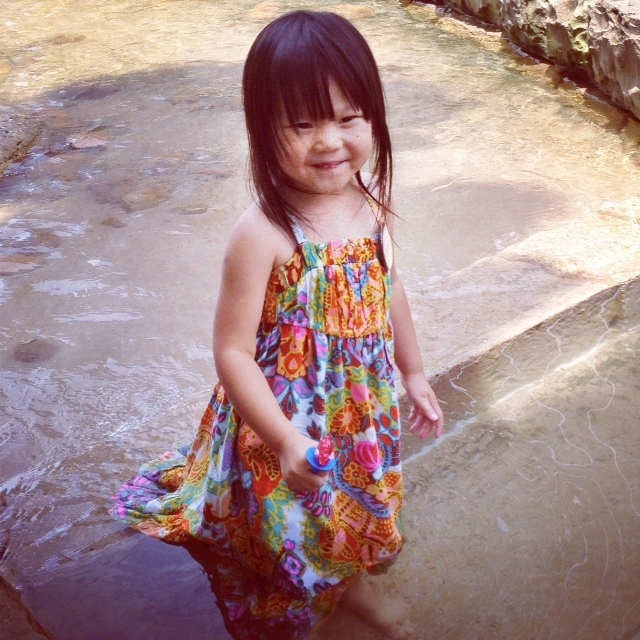 This little darling turned 3. At the Tennessee Aquarium in Chattanooga. 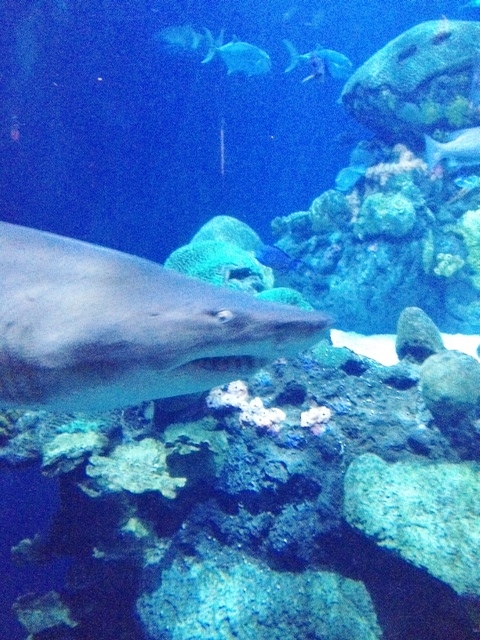 Where even the sharks seemed to grin their birthday greeting. 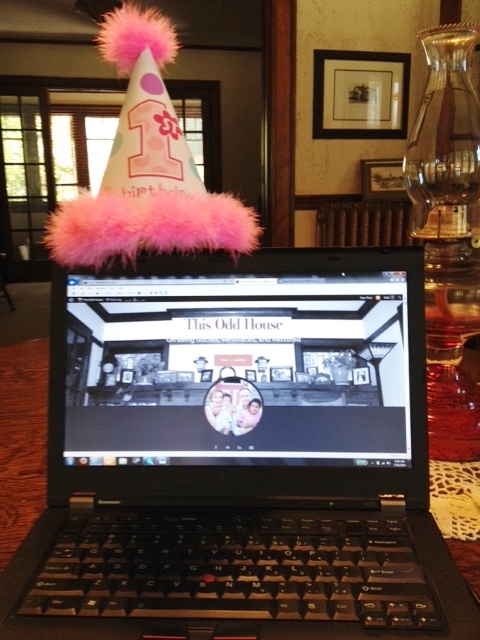 And the This Odd House blog turned 1. With little fanfare. Or even acknowledgement. Other than this pink, fluffy hat. All that to say, this month we’ve had so much to celebrate! And so many reasons to eat cake. This month also marks the end of my sabbatical year. In just a few short weeks, I’ll revise my syllabi, dust off my lesson plans, and saunter back into the classroom. Returning to the same job I have had and loved for sixteen years. But I will be a little bit different. This year has marked me in many ways. It seems fitting, then—at this birthday time and before the month escapes me—to reflect for a few minutes. To look back on this year of focused writing and reading and birthing a blog. And consider just what has been learned. I had no idea what to expect when I hit “publish” for the first time last July. No idea if anyone would read or resonate. No idea if I would like blogging. Or not. No idea where the writing would take me or what exactly I needed to say. But I believed God had called me to it. That He had done so much healing in my own heart, performed so many miracles in our lives, that I had to share. I had to shout over the WiFi waves and give Him the glory that is due. I believed that blogging for me was an act of obedience. And worship. I believed it could be an instrument of further growth in my own life. And hopefully in the lives of a few others as well. And so it has been a year of finding my blogging feet. Of baby steps. And missteps. And more than a few leaps into the deep end where the water is way over my head. If you’re reading this, you are— and possibly have long been—a part of the journey. So thank you. Every word of encouragement, every story you’ve shared in response, every “I know what you mean” has been a much needed nudge to keep going. That being said, here are a few of the lessons I have learned. • I have learned that a blog is a perfect place to hone your writing Voice. Writers talk often about this illusive matter of voice. What it is. What it isn’t. How to find your own. As a teacher, every semester I encourage my students to find theirs. But when they ask me what I mean or how to do it—step-by-step—I am less certain what to say. One definition I like is this: “Your voice is how you choose to break the rules.” It’s the shape of your writing. The structure. The poetry. The rhythm. The metaphor. It’s the images you paint on the page. The words you choose. The way you line them up. It’s the length of your sentences. The punctuation you put in. Or don’t. It’s all of these things and more. It’s what makes your writing “you.” And since there is no editor peering over your shoulder, a blog is a fun place to play. So I have learned to do just that. I have learned that I like fragments. A lot. And I use them freely. I have learned that alliteration flows from me like a fountain. I don’t know why. But—believe it or not—I try to tone that down. I have learned the power of placing two stories side-by-side. Or three. Or four. Because they talk to each other. And the richest meaning often comes from their conversations. • I have learned to live more like a Writer. To put something on paper almost every single day. I have learned to see. To pay better attention. To my own life. My own heart. To the world around me—big and small. And to what God seems to be doing therein. I have been reminded that good writing requires good thinking. And good thinking requires time. And I have learned to create the space I need to ponder. I have learned to sit and stare. Or to simply walk around the block. I have learned to better invite Peter into the process. Without pretense or defense. I have learned to read more widely. To find the funny. To take more notes. I have learned to hide in the corner at the coffee shop. To turn off the WiFi until I meet my daily goal. And I have learned that I am more fully who God created me to be when I am regularly writing. I have learned that I need this like I need air. • I have learned just how important Platform is to publishers. While I have been encouraged by the interest of editors in my book proposal and writing, so far each one has ultimately passed. Because the numbers just aren’t there yet, they say. But I have learned that I can’t get caught up in them. I can’t control them. And contrary to what it seems at times, they aren’t actually the point. I have learned that—if I really want to grow my platform—I ought to be blogging at least three times each week. And I have learned that—at this point in my life—three posts a week is impossible. I have learned that I am a slow writer. Very slow. And I have learned to accept my own limitations. I have learned that it’s okay for me right now to focus on quality, not quantity. I have learned the importance of setting a sustainable expectation. I have learned to not make blogging promises that I can’t keep. And I have learned to trust the publishing outcome to the only one who always knows what He’s doing. • I have learned to create Community. To be intentional about satisfying that cardinal craving. Writing is such a solitary endeavor. So many hours spent staring at a screen, rather than a face. So many days spent running around in my own head. I have learned how much I need to find friends. And I have learned that they can come in many forms. I have learned to look for them on my own blog and on theirs. At conferences. On social media. In the Kindergarten pick-up line. Or in the sanctuary at church. I have learned to reach out. To comment. To connect. To be the first to say, “We should talk.” I have even learned to pass chapters of my precious manuscript to a friend and beg, “Please, be brutal.” One of my favorite things that God has done this year is to draw together a Writers’ Group. One-by-one He brought them across my path. At this point almost twenty like-minded women. Writers and speakers. Who now come to my living room one Saturday morning every month. And they sharpen one another. And they bless me beyond measure. • Finally, I have learned to better trust the writing Process. Or more accurately, the Giver of words. I have seen just how unhelpful it is to fret over self-imposed deadlines or a loss of inspiration or writing time “wasted” washing windows. So rather than succumbing to worry, I am more likely—instead—to escape to my strange sanctuary. The furnace room in our basement. Where the treadmill lives. And where God meets me in a special way. I have learned that writing is, first and foremost, listening. So rather than beating my head against a blank screen, I am more likely to open my heart. And my ears. And His Word. I have learned to wait patiently for Him to speak. This quote is new to me, and I love it! I searched for “new blogger” and this came up. I’m just getting started and this was an inspiring read. Thank you! Thanks for stopping by! Blessings as you launch your blog. I have found blogging to be a wild, but very worthwhile, ride. “Your voice is how you choose to break the rules.” Love this. Maybe it’s the rebel in me, ha ha! Many beautiful lessons from a year of blogging. Thanks for sharing them. I can relate to several. It’s daunting until I take a step back and remember to rest in the process. I was “listening” today while walking around Beaver Dam. I wasn’t supposed to sit in front of the screen. I was called to step outside and explore, nature as well as my thoughts. Thanks, Tracy! Glad you got away from the computer today too. The Beaver Dam sounds like a great place to hear the truth break through. Thankful for you! Thank you yet again, Lucie! Your unexpected companionship on this journey has been one of my favorite things about the whole experience.